MARCA are repeatedly writing stories that Sadio Mane is Bernabeu bound. Their front-page today shows our Senegalese superstar with Zinedine Zidane after the Champions League Final in 2018 – along with a headline that says the Frenchman wants our no.10 on board as a summer priority. MARCA are the mouthpiece and propaganda arm for Real Madrid – and regularly do the club’s tapping up – in many ways – by creating and growing a rumour before the window even opens up. But Dom King of the Daily Mail has reiterated Liverpool’s powerful position – in that there is no release-clause, he recently signed a massive contract extension and that the club obviously don’t want to to cash in. 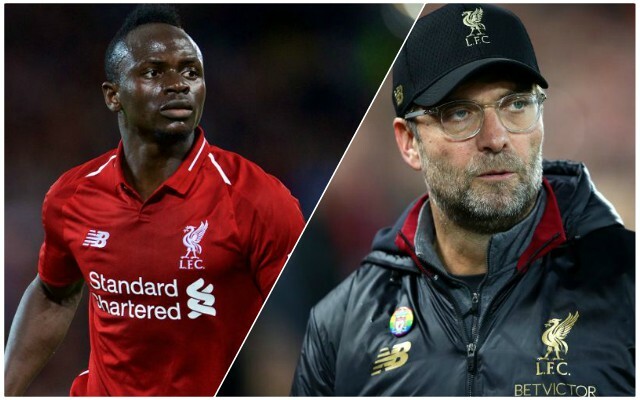 As a result, the only way Mane could leave this summer is if he firstly threw his toys out of the pram and demanded an exit, which would be entirely out of character – and then if Real Madrid bid a gargantuan sum for his services. There’s no way Liverpool would accept a fee lower than the £142m Barcelona spent on Coutinho in January 2018, for example. We’re not worried. If Mane does want to leave, he’d be making an error, considering how brilliantly he thrives in Jurgen Klopp’s system. But we can’t imagine he does, or that Real would be able to afford him.